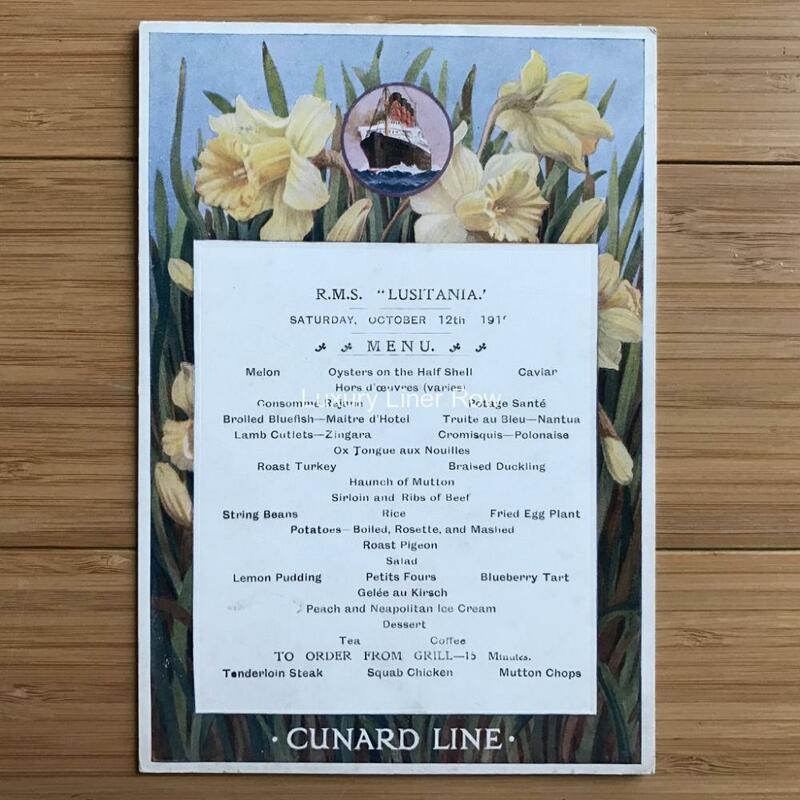 Amazing stand-up first-class menu from Cunard’s Lusitania. 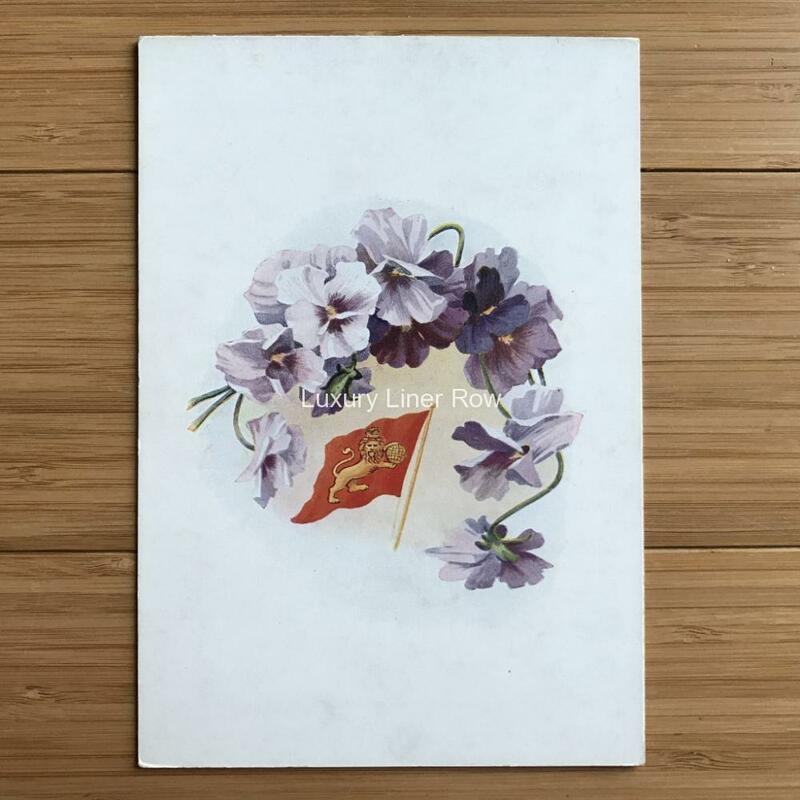 Dated October 12, 1912, just a few months after Titanic sank. 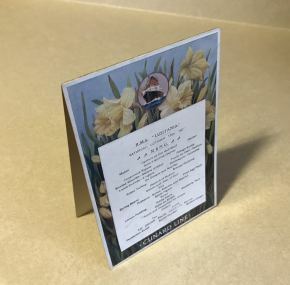 Try the Oysters on the Half Shell, the Caviar, or the Braised Duckling. In excellent condition with superb graphics. Could not ask for better from this famous lost liner.